Wage theft is a huge problem nationwide. And with crude oil prices so low, many exploration and production workers are really feeling the pinch. Federal law requires most workers get paid time and a half for all hours worked over 40 and also requires workers to be paid for all time worked, whether or not on the clock. 241 workers from Nova Mud, Nova Hardbanding and Nova Sand are the latest group of employees to have won wage theft claims against their employer. The Nova companies are all engaged in oil well servicing. 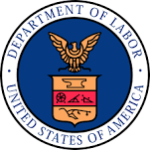 The Department of Labor found that the companies failed to keep accurate time records and failed to pay workers overtime. The 241 were collectively awarded $751,000. Under the Fair Labor Standards Act (FLSA), the award is doubled to $1.5 million plus Nova will be ordered to pay the group’s legal fees. An investigation by the government found that workers were paid salary regardless of the number of hours worked. Overtime can be denied for certain employees including managers, firefighters and a handful of others. For most folks, however, the FLSA requires overtime for time worked in excess of 40hours per week. In announcing the award, a Department of Labor spokesperson said, Companies need to understand that failing to pay workers the wages they have rightfully earned will come at high cost to the employer,” said Betty Campbell, Southwest regional administrator for the division. “When employers fail to pay workers legally, it harms workers and their families and puts law-abiding employers at a competitive disadvantage. The resolution of the Department of Labor investigation does not fully resolve a collective action filed by Tomas Jimenez, an inspector / helper working for Nova. As part of his job, he inspected and handbanded well piping. Jimenez claimed that workers often worked 12 hour days, 7 days in a row and were never paid overtime. Nova is not alone in facing wage theft charges. We have seen six exploration, production and oil field service companies sued or resolve FLSA lawsuits since February 1st. Simply because oil companies are being financially squeezed doesn’t give them the right to not pay workers however. Whether of not you work in the energy industry, in an office or in a restaurant, employers must pay you for all hours worked and pay overtime for time in excess of 40 hours per week. There are exceptions for managers (true managers, not just in title only), administrative staff, professionals and for workers in selected occupations. Wage theft is punishable by an award of double lost wages plus an award for legal fees and costs. If your employer isn’t paying you what it should, call us. or at 202.800.9791. You can also visit our Fair Labor Standards Act information page. All inquiries kept strictly confidential. There is never a fee unless we win.